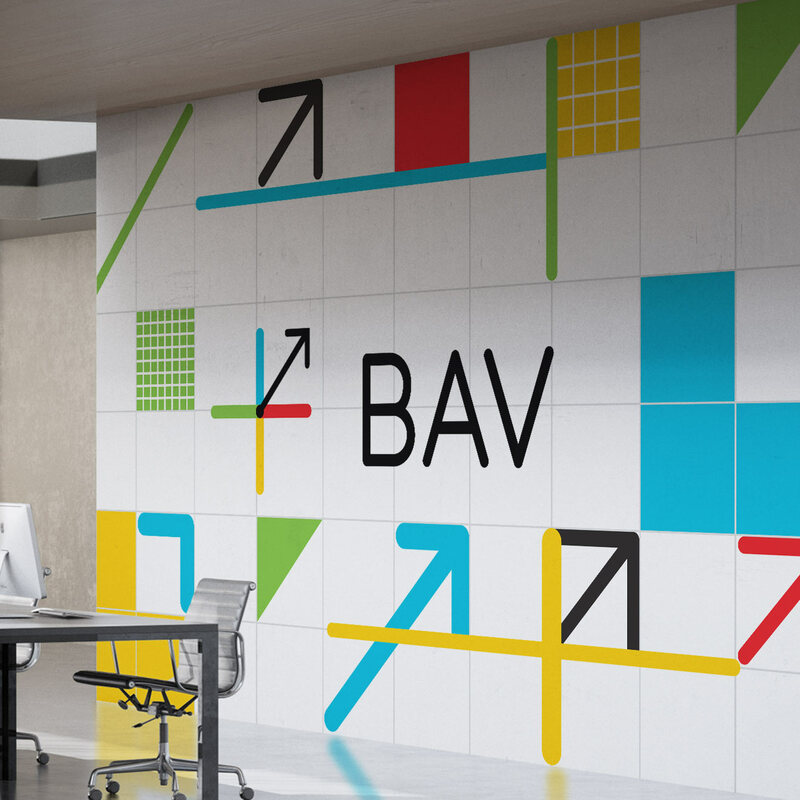 This spring, BAV, a global strategic consultancy, approached us to add a bit of pizazz to their new office space. We enjoyed the challenge of translating the branding we designed into a working environment. BAV’s office underwent the transformation this month, turning the space into a much better reflection of the brand. (Goodbye, white pillars.) What a difference color makes!